L-R: Rosemary Matteson, Lucille LeBeau, Helen Devlin, Barbara Canuana, and Dorothy Bates. I wouldn't mess with any of them if I were you (unless you're looking for a broken nose). This was another John King find (almost as good as the last one). The original photograph was taken by Detroit News Staff Photographer H. Burgert on August 7, 1950. 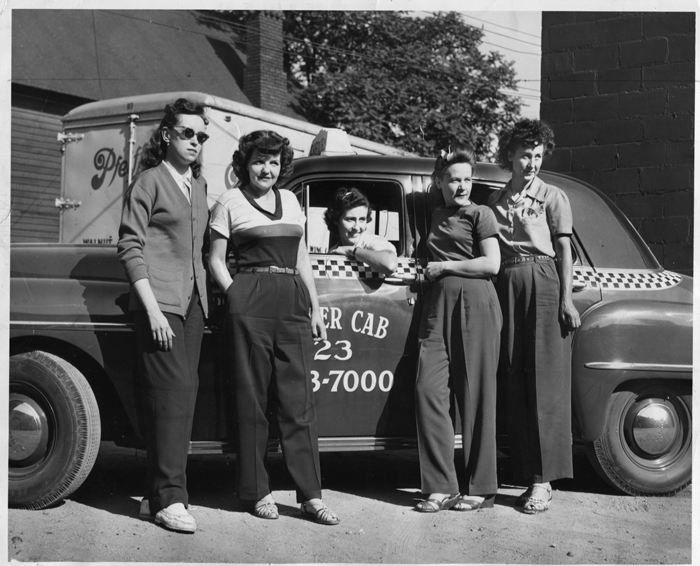 With the women's names and Detroit street addresses, it was simply marked "women taxi drivers."